The misuse of documentary photography in information war is nothing new. These distortions are so ridiculous that even I have never taken them seriously. But what sobered me up was the fact that some Russian media outlets, whether intentionally or as a result of their photo editors being semiliterate, are pursuing a policy that is almost indistinguishable from Azerbaijani media outlets’ practice. It’s needless to remember and remind that the casket cover itself proves that these victims could be anyone, but never of the Islamic faith. Muslims don’t bury their dead in caskets — they don’t. But even this is not essential. What is essential is this: the photographer’s name is noted. Most likely to dispel the doubts. 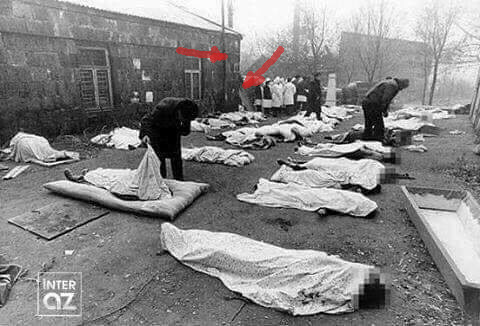 It took no great effort to determine that presented as the author of that photograph Igor Gavrilov is indeed the person who took that photograph. Knowing Gavrilov personally, I knew that he was not in Artsakh in February 1992. But what I know cannot serve as impregnable proof against Azerbaijani sites’ distorted facts. After searching for a long time, I found the source of the information. I was stunned to discover that the first circulator of this misinformation was Kommersant. Several years ago, Kommersant purchased the bankrupt Ogoniok (Spark). Naturally, the new owner inherited the entire photography archive. 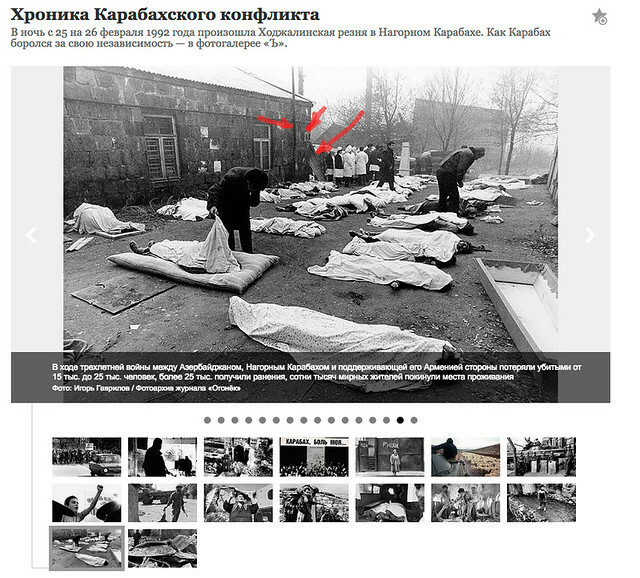 The publication of the photos of Igor Gavrilov, who worked at the legendary Ogoniok for several decades, puzzled me when I read their captions, which didn’t correspond to the content of the photos at all. 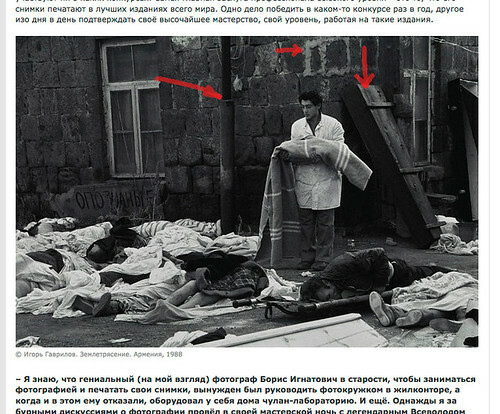 Igor was one of the first who, in December 1988, rushed to Leninakan (modern-day Gyumri) and photographed the terrible tragedy. His photos were published in the magazine Ogoniok. Gavrilov also responded: “This was done either because of being semiliterate or…” I won’t quote his response in its entirety. It’s private correspondence. Sometimes we also make strong comments. It turns out that Kommersant is spreading misinformation. But this is only half of the misfortune. What’s painful is that Kommersant truly couldn’t care less that it’s putting the photographer at risk. Millions of people see this publication, right? And naturally, many grit their teeth in anger because they know what is what. And is it not so that the photographer during his journalistic work may come face to face with Kommersant’s angry “readers” and their justified anger, by the way, and those irate people may be armed with Kalashnikov rifles? It’s a war, right? And if we believe the reports on losses, the end is nowhere near. Such an encounter may cost a photographer’s life.